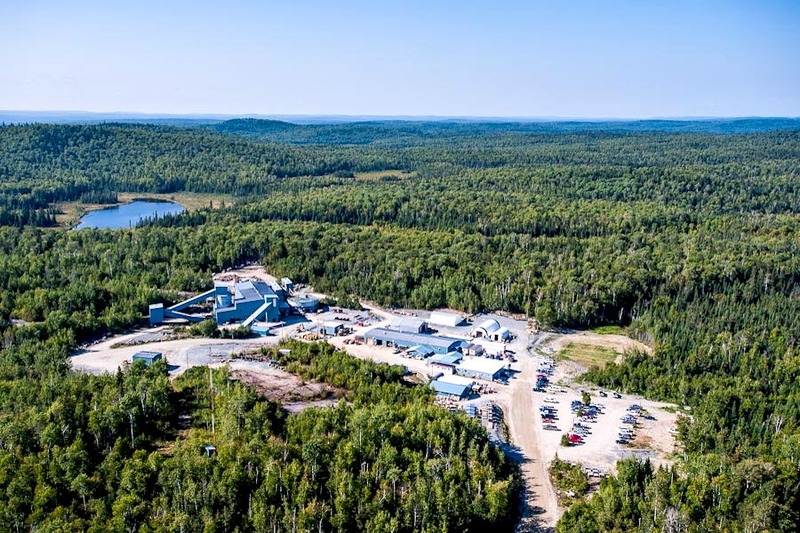 ONTARIO – Toronto’s Alamos Gold says its best ever surface directional drilling intersection at the Island Gold mine 83 km northeast of the town of Wawa. The results have allowed the company to extend high grade gold mineralization 60 metres to the east. Recent results from the Main extension include 118.58 g/t gold (39.99 g/t cut) over 6.7 metres; 21.50 g/t (13.70 g/t cut) over 7.8 metres; and 31.70 g/t (14.51 g/t cut) over 3.8 metres. High grade mineralization extends laterally and down plunge from existing inferred resources at the Western extension, including 78.26 g/t gold (67.74 g/t cut) over 2.3 metres; and 19.69 g/t (19.69 g/t cut) over 2.79 metres. Drilling at the Eastern extension extended the high grade mineralization below and east of existing resources and is open down plunge. Assays included 46.13 g/t gold (44.17 g/t cut) over 2.83 metres; and 13.72 g/t (13.72 g/t cut) over 7.6 metres. Alamos gold drilled 102,500 metres in 556 holes during the first nine months of this year, and the company plans a further 42,900 metres more by year end. The surface directional drilling totaled 37,200. Details of the current program are posted in the Nov. 5, 2018, news release posted at www.AlamosGold.com.